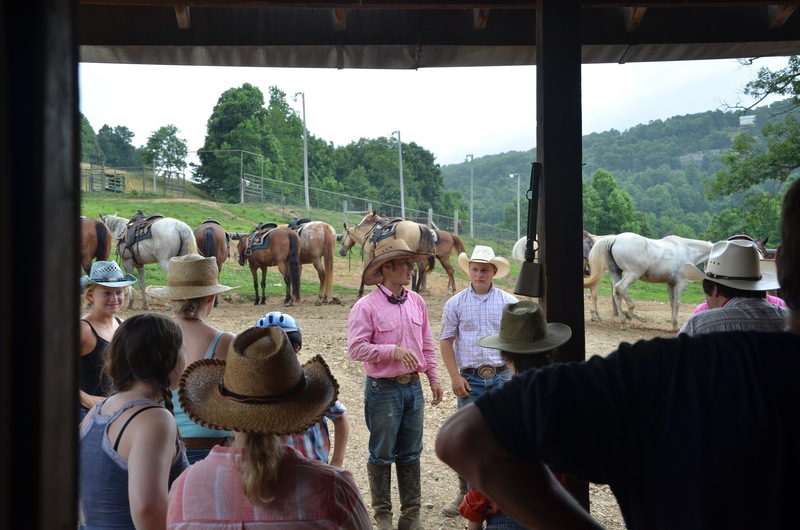 Horseshoe Canyon Ranch, America's BEST Dude Ranch for Families! Experience HCR, the BEST Dude Ranch for Families! 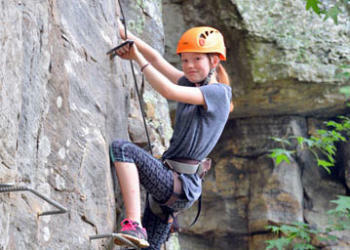 Horseshoe Canyon Ranch is the best dude ranch for families as it sprawls across a lush valley surrounded by large sandstone bluffs in the heart of the Ozark Mountains. During your stay you can expect the Southern Hospitality at our Arkansas family dude ranch to make you and your family feel right at home. The smells of leather and livestock will conjure up images of the Old West as you live your Western Experience and forge new friendships with hardworking, friendly people. Enjoy the high bluffs, tall trees, and a variety of wildlife as you lazily canoe the awe-inspiring Buffalo National River. Rock climbing is popular year-round. Scale the large sandstone cliffs and admire the seemingly endless terrain. Experience horseback riding in Horseshoe Canyon and explore the many caves, springs and clear mountain streams. "Vacay of a lifetime. We had the greatest time at the ranch! Accommodations were great- cabin was nice and clean... Pool and hot tub were clean and beautiful with an amazing view of the canyon... the food was so good I wanted to weep. You can ride twice a day if you like, and they never take you on the same trail twice. You can also do rock climbing twice a day...adventure courses (part climbing, part caving, part ropes course with platform jumps and zip) are great. Plus shooting, a canoe trip, river swim, and an easy hike to a cool cave. By the last full day we were exhausted but so happy... My 14 year old son was super skeptical at the beginning of this nontraditional vacation but by the end was asking if we’d be back next year and wanting to buy a cowboy hat!"